Shishir is a Mechanical Engineer from the prestigious Birla Institute of Technology & Science (BITS) Pilani and an Advanced Management Graduate from Harvard Business School. He has over 35 years of rich experience in varied fields of engineering. Shishir possesses a strong business and leadership record. He began his career with Thermax Ltd and held several key positions to rise through the ranks to become Executive Vice President and Global Head of Cooling & Heating business. He was also the Director of overseas subsidiaries of Thermax in USA, Europe, South America and successfully set up a manufacturing subsidiary in China. 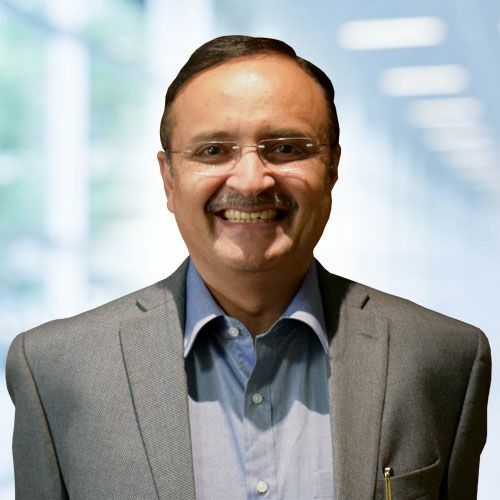 Before joining Praj, he served as Managing Director of SKF India Ltd from 2009 to 2018. Under his leadership, SKF consolidated its position as the leading manufacturer of bearings, seals, lubrication systems, mechatronics and services. Shishir is passionate about Smart Manufacturing and regularly speaks on the topic at various forums. He co-chairs the CII Innovation Council for Western Region and is a Member of the CII National Committee on Capital goods, Smart Manufacturing, Trades and Fairs. He is also the Founding Director for Alliance for Energy Efficient Economy (AEEE) – an industry thinktank and policy advocacy organisation for energy efficiency in India.